Our team at Southeast Tree Care is trained in Vegetation Management which allows us to provide top residential and commercial property management for Estevan and the surrounding areas. 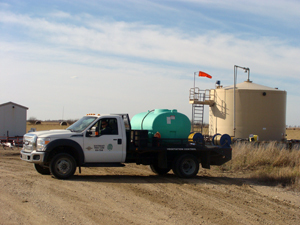 These services are available to a wide variety of businesses throughout Southeast Saskatchewan and Western Manaitoba, including agricultural and oil sectors as well. You can trust that our top of the line applicators will manage and roll out a program that is tailored to your needs. The property management services we provide include mowing and vegetation control. Our equipment is able to complete any project you may have. Whatever the job, we can help you out.